We’ve said it before and we’ll say it again, Cara Delevingne knows how to close a fashion show. 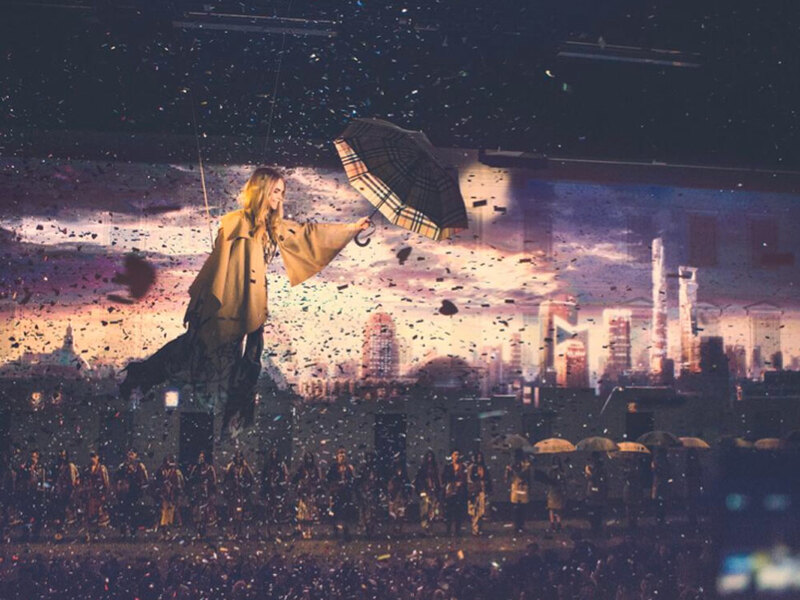 Last night, the model flew, Mary Poppins-style, down the Burberry catwalk in Shanghai. And of course made it look effortlessly cool. The special show was celebrating the opening of the British brand’s new flagship store in the city and saw Paloma Faith and George Ezra (one of MC’s favourite rising stars) perform. Cara D was joined in the city by her pal and current girlfriend of Bradley Cooper, Suki Waterhouse, who also walked in the show. As with Burberry’s AW14 show at London Fashion Week in February, models lined up in monogrammed Burberry shawls, handpainted sheepskin coats, floaty florals and romantic prints.